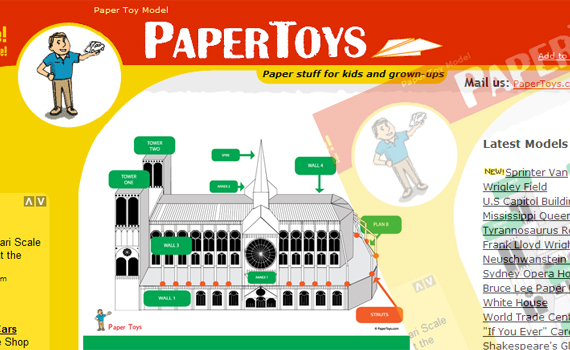 Chew recently designed a toy for www.papertoys.com based on famous cathedral Notre Dame in Paris. The toy was designed and formed completely out of paper. It had to be robust enough to withstand everyday knocks and bumps and also appeal to both children and adults alike. We designed the toy, keeping in mind the fact that it should be constructed quite easily by the user, whatever their age. This had to be simple but we certainly didn’t compromise on the intricicies of the actual building’s architectural design.